The MAXIMUS Companion light looks exactly the same as the Maximus Smart Security Light in Contemporary look and has Bluetooth capability for easy pairing with the Maximus Smart Security Light. It syncs automatically with the light settings that were set for the Maximus security light. The light is easy to install in approximately 15 minutes when replacing an existing light fixture. No extra wiring is required. - The fixture comes with Energy Star certified A19 450 lumen bulb in it and 3-color status LED with selectable display/hide modes. Protect buildings, homes and cottages with Classy Caps motion sensor security light. Potential intruders are discouraged by an automatic brilliant white light that is triggered by an infrared motion detector. Our unique solar powered design eliminates the use of electricity. Quick and easy installation with our mounting hardware provided. The NEW Defiant LED BLADE security light chases away night time darkness. This LED motion light provides seamless light coverage for increased safety, security and peace of mind. Never change a bulb with this new LED technology. 1-2-3 Easy Connect is DIY friendly and allows quick safe installation. A DualBrite feature beautifies, protects and saves energy. Defiant 270 LED Triple Motion w Doppler Sensor offers dependable security protection. This fixture combines Doppler radar and PIR motion senor technology improves reliability plus reducing false triggering. This fixtures uses the latest LED technology with light output equivalent to a 180 watt incandescent bulb and only consumes 25 watts of power and lasts up to 22 years. Contemporary Companion Smart Security Light - Textured Black The MAXIMUS Companion light looks exactly the same as the Maximus Smart Security Light in Contemporary look and has Bluetooth capability for easy pairing with the Maximus Smart Security Light. It syncs automatically with the light settings that were set for the Maximus security light. The light is easy to install in approximately 15 minutes when replacing an existing light fixture. No extra wiring is required. - The fixture comes with Energy Star certified A19 450 lumen bulb in it and 3-color status LED with selectable display/hide modes. 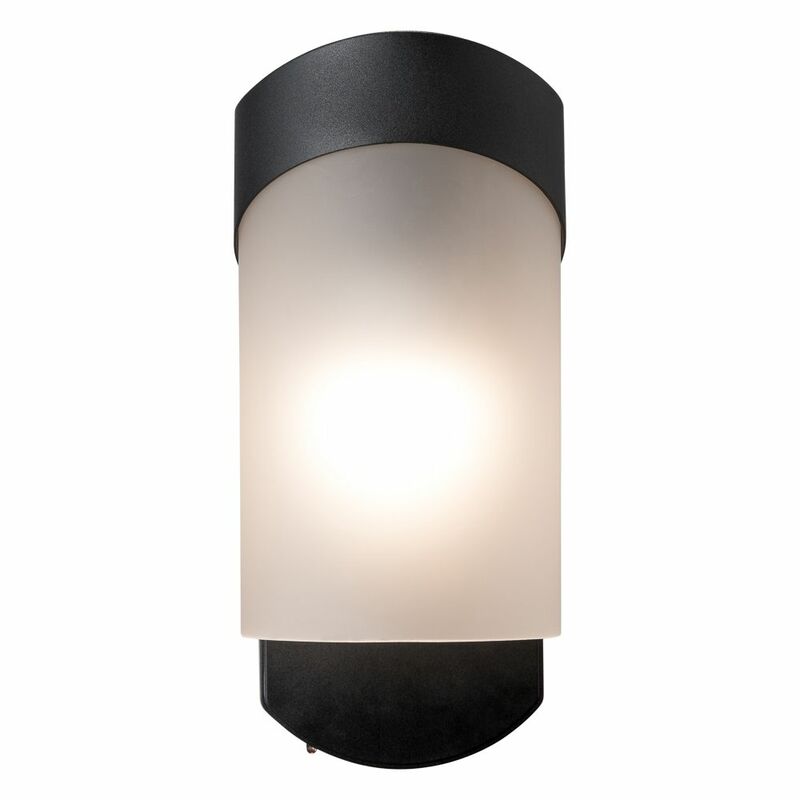 Contemporary Companion Smart Security Light - Textured Black is rated 3.0 out of 5 by 1. Rated 3 out of 5 by Robert from When the light arrived, the box was clearly marked that... When the light arrived, the box was clearly marked that the light was not meant as an independent unit. The web site likewise could have had that same clarity. The web used the term "companion" which I should have picked up on. Oh well, I just didn't get a usable motion detector feature.